Product Hunt, the community site focused around discovery of tech, games, podcasts, books and probably everything else eventually, is rolling out an update to its iOS app today that makes it far more useful to regular users. Quite a basic app has been available since last year, but today’s revamped version reflects just how much the community has expanded in the intervening 16 months. There’s now support for books, games, and podcasts. Podcasts in particular have some love here – there’s an in-app podcast player, which makes it great for anyone who likes to discover new things to listen to on their daily commute. You can also now take part in Product Hunt’s AMA-style chats with notable creators right from the app. 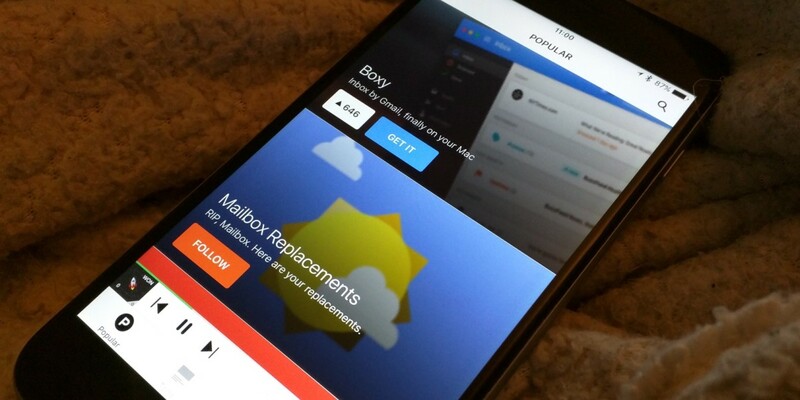 In short, the revamped app reflects everything that is Product Hunt in late 2015. It looks a whole lot nicer than the old app, too, and the ‘Popular’ feed is a really attractive way to start exploring what’s on offer. If you’re a keen member of the community and use iOS, you’ve probably already updated before you reached the end of this article. If you’re an Android user, you’ll have to hang tight. Product Hunt founder and CEO Ryan Hoover says that the startup wants to perfect the mobile experience on Apple devices before porting it to other platforms.